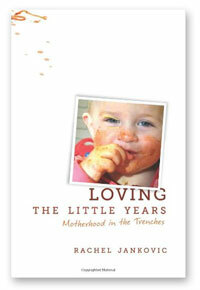 "I didn’t write this book because mothering little ones is easy for me. I wrote it because it isn’t. I know that this is a hard job, because I am right here in the middle of it. I know you need encouragement because I do too." "This is not a tender reminiscence from someone who had children so long ago that she only remembers the sweet parts. At the time of writing this, I have three children in diapers, and I can recognize the sound of hundreds of toothpicks being dumped out in the hall." 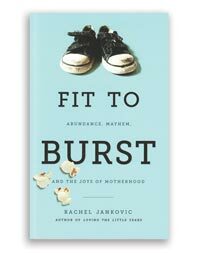 "[This] is a loose collection of thoughts on mothering young children—for when you are motivated, for when you are discouraged, for the times when discipline seems fruitless, and for when you are just plain old tired." "The opportunities for growth and refinement abound here—but you have to be willing. You have to open your heart to the tumble. As you deal with your children, deal with yourself always and first. This is what it looks like and feels like to walk with God, as a mother." This is a short but VERY sweet book on motherhood. 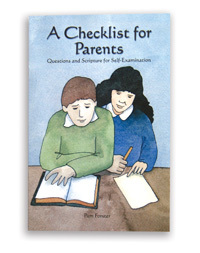 It contains biblical advice and real-life "mom" advice, all in an easy-to-read format. I refer back to this book often when I need a little encouragement or a clever idea on a discipline issue we may be facing. Highly recommend this to any mama out there! 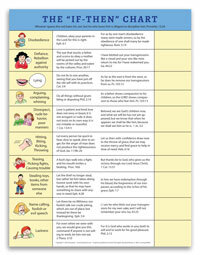 Ms Jankovic brings insight to the everyday challenges of being a mom of littles. She also highlights the great blessing this "job" is. She gives the vision of not wanting moms to miss out on the beauty of these hard working, sleeping missing years of a house of curious and fun littles! Very much enjoyed it! 4 kids ages 6 and under...with twins in the mix. We are busy! So busy I want to make sure I don't miss the blessing of this time. I would love the book. As a mom of 3, ages 5, 3, and 1, I definitely feel like I am in the trenches. So often, I get caught up in the daily grind of taking physical care of them, that I forget to nurture them, train them, and point them to the Lord. This sounds like it is a great book with much wisdom! I find that anything that reminds me that what I see in my children, for example the way that they say things, is a reflection of me. Some of the things I see are God's reminders of how I need to change! What a blessing to have not only little people in our lives, but also acting a mirrors. I am in the trenches too! I would love to glean all the wisdom and insight I can from Mrs. Jankovic!! I would LOVE to win this book. I have a 3 yr old, 2 yr old and a newborn. I know this would be a great resource for me:) thanks!! Would this be appropriate to give to a new mom who is not a Christian yet? Does it present the Gospel?